You are not logged in. [Log In] MusicPlayer.com » Forums » Guitar Player Magazine Forums » Guitar Player Forum » Best tube overdrive pedals? #2953126 - 10/15/18 08:45 PM Best tube overdrive pedals? Best tube overdrive pedals with a tube in them? I like a smooth overdrive with very little "hair" or grind. Smooth like a Santana overdrive lead sound. Oops, forgot the tube requirement. 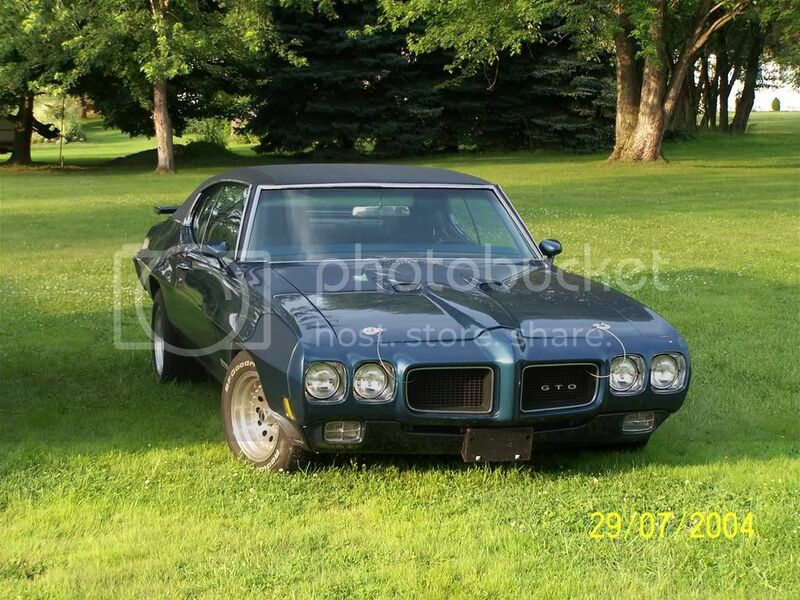 Here`s another one I`d love to get my hands on. Thanks Skip, three nice options to look at. Get you any tube overdrive pedal that runs a 12AX7, and replace the 12AX7 with a lower gain tube, like a 12AT7(yes, it will work in place of an AX, I've done it and I know!). It smooths out the gain and sweetens it up tremendously. I have no experience with tube pedals DBM...good luck in your search. I love that Santana sound! Effectrode stuff is true tube circuitry and good stuff. Most the time those tube stomp boxes are a gimmick. Just a fancy glass diode. Working voltage for a 12AX7 is closer to 300 volts. If it can run off a wall wart it isn't real tube electronics. That doesn't make them bad. But they are necessarily smoother than solid state analog. I have the original rack mount Tube Driver but it is still a starved plate voltage design. My personal favorite smooth low dirt OD is the Wampler Tumnus Deluxe but it doesn't have a tube. 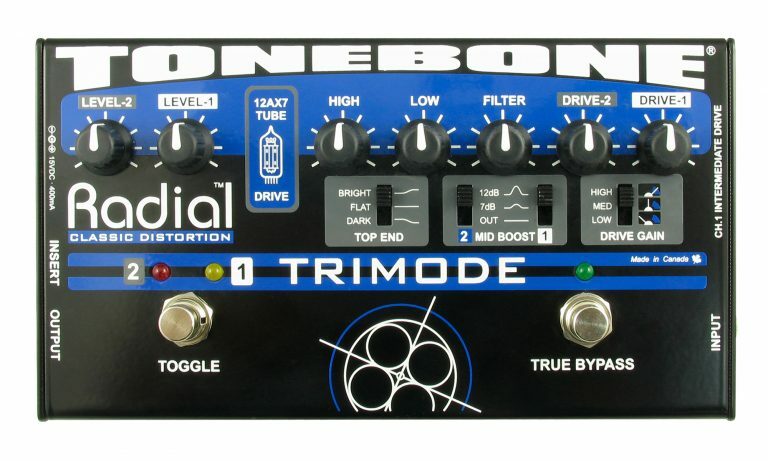 As pleased as I've been with my Radial Tonebone Plexitube, which is rather 'Marshally', I think that you'd be better served with the Radial Tonebone Trimode, which is more 'Fender'/'Boogie' than 'Marshall', and more versatile and dynamically responsive. I think that with some trial-and-error, you could dial-in some tones between its two channels that would please you very well. These are hybrid SS/tube designs, but they're very good hybrid SS/tube designs. BK Butler Tube driver I have mentioned it before I really like mine. David Gilmour uses a few of em as does Eric Johnson. The Blackstar`s circuitry is designed to take that into account-it`s worth a quick look at what they have to say about it. Most tubes do indeed just sit there. Thanks Skip, I think my amp tech is hot on repairing my Nady TD1. He seemed confident. The thing about the Blackstar pedals is the support sucked. One came into the shop. (that is not necessarily bad. things break). But it needed a proprietary part and Blackstar couldn't get it to my tech. I mean WTF.... this was like a $400 pedal. But when working I guess it was killer. The thing about the Blackstar pedals is the support sucked. One came into the shop. (that is not necessarily bad. things break). But it needed a proprietary part and Blackstar couldn't get it to my tech. I mean WTF.... this was like a $400 pedal. That's all I need to know to tell me that I will never buy anything from Blackstar- not even used. I know Blackstar approached Mark about carrying the amp line. He told his rep 'No Thanks! and told the pedal story. Great to hear some of the bg on how this stuff plays out on the post-consumer level. On a a slightly diff tack, is there any pedal that seems to provide cleaner, better defined thru-put for multi-note or chordal playing ? I'd like to find a pedal that allows a wide range of effect levels but also allows for clear multi-note definition. I'll also prolly be going w/a low level amp or maybe even computerized set up, so "natural" overdrive ain't in my picture, really. Just looking for a short-cut before I start. I too have heard good things about their amps and to be fair, when a company that is basically a few guys who started with a larger label and went off on their own becomes in demand, it can be very overwhelming-I had the same issue with one of the guitars I bought. I called multiple shops in Australia, they all complained about slow orders, mistakes etc. I said, okay-what about the guitars? "Yeah, the guitars are alright..." that`s all I needed. I told the story before, about how I needed a setup for my electric and, one of the founders of the company sent a company car to pick me up at the train station, had a factory guy set it to my liking, then drove me back to the station. At this point they aren`t even making electrics, so it`s a special thing on multiple levels. I spoke to a Blackstar rep when they were just getting off the ground-I`d say don`t be overly quick to write them off. DBM are you looking for replacement for a Nady TD-1 ? This is local for me I could help you get it if you would need or want it. The later model TD1 is discontinued but I think this be might be similar in capability it lacks the presence control, but I keep mine all the way off anyways.